The 2017 Land Rover Range Rover Evoque delivers on performance, and Baltimore and Arnold drivers enjoy everything it has to offer. When you want to experience more excitement and adventure on the road, choose the Land Rover Range Rover Evoque. The Land Rover Range Rover Evoque comes with a nine-speed automatic transmission that provides better fuel efficiency and more control while on the road. Having this feature gives you an impressive fluidity while on the road, which makes your trip through Washington DC more enjoyable. Torque Vectoring helps to improve the stability of your vehicle while you’re on the road. This system constantly balances the vehicle and evenly distributes torque between the wheels and steering wheel to give you better control. The Land Rover Range Rover Evoque features adaptive dynamics that constantly monitors the vehicle’s movements and reacts to the driver’s decisions. This way, you can always rely on having a consistent and reliable driving experience everywhere you turn. Having plenty of power to drive through Arnold is always a plus, and the four-cylinder turbocharged gasoline engine that delivers 240 hp and 250 lb-ft of torque for a ride you’ll be sure to remember. Nobody wants to waste time sitting at a gas station, and the Land Rover Range Rover Evoque gives you efficiency you want in a new vehicle. With this model, you can experience an EPA-estimated 21 city and 30 highway mpg. This way, you’ll have the efficiency you need to enjoy more road. Having a vehicle that allows you to experience adventure is always exciting. The Land Rover Range Rover Evoque offers a Terrain Response® system and Hill Descent Control® that gives you the assistance you need on the road and off. No matter the weather condition, or the terrain condition, you can count on this new model to perform everywhere you turn. When you’re on the road, having technology that works to keep you safe is important. The 2017 Land Rover Range Rover Evoque comes with Adaptive Cruise Control. This feature uses sensors to monitor your surroundings and keep you in line with traffic. It also will automatically apply the brakes if it senses you are approaching another vehicle too quickly. The 2017 Land Rover Range Rover Evoque brings bountiful and impressive performance to the Washington DC area. From its engine to its transmission and all the performance features in between, this is one model you won’t want to live without. 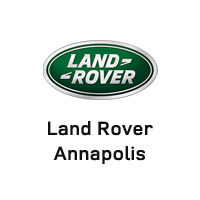 Visit Land Rover Annapolis today to see this new model for yourself. Check out our inventory at 101 Ferguson Road in Annapolis. You can also contact us online or call us at (410) 904-3108 to schedule a test drive or apply for financing.